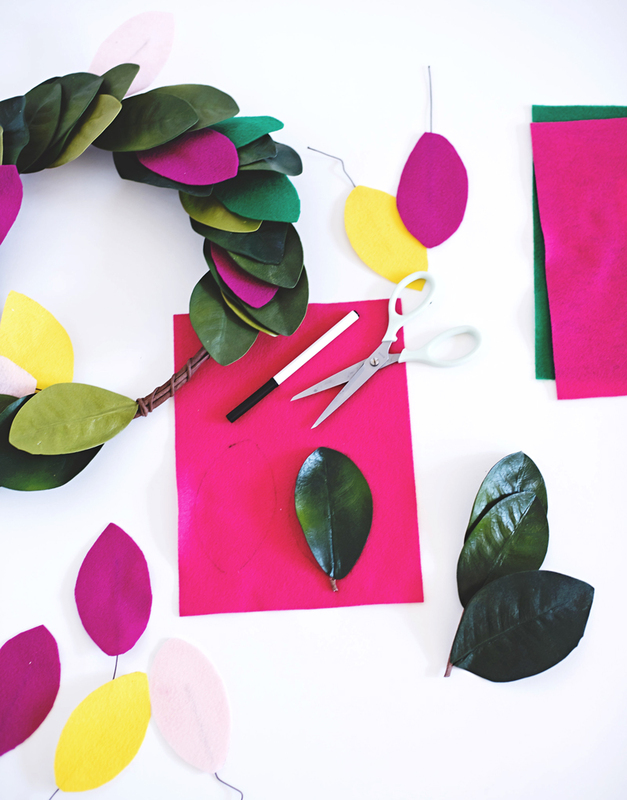 Magnolia Wreath DIY Make It With Felt Today! 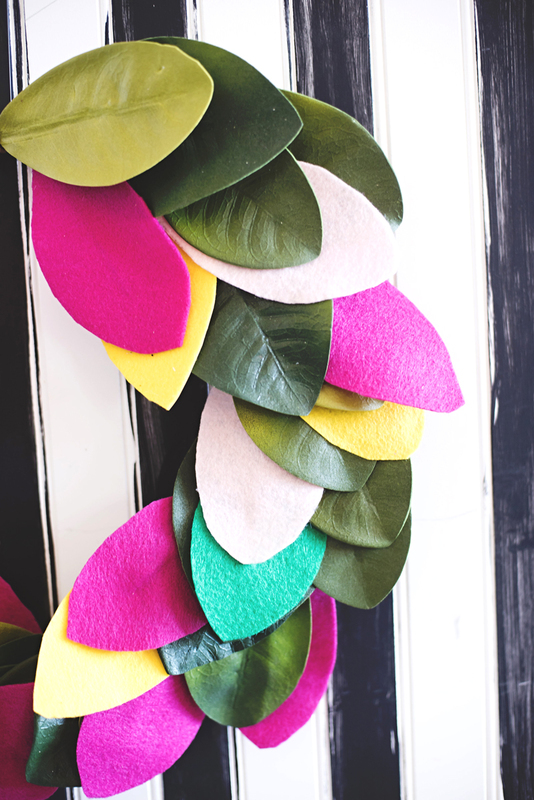 Inside: The cutest felt magnolia wreath DIY. 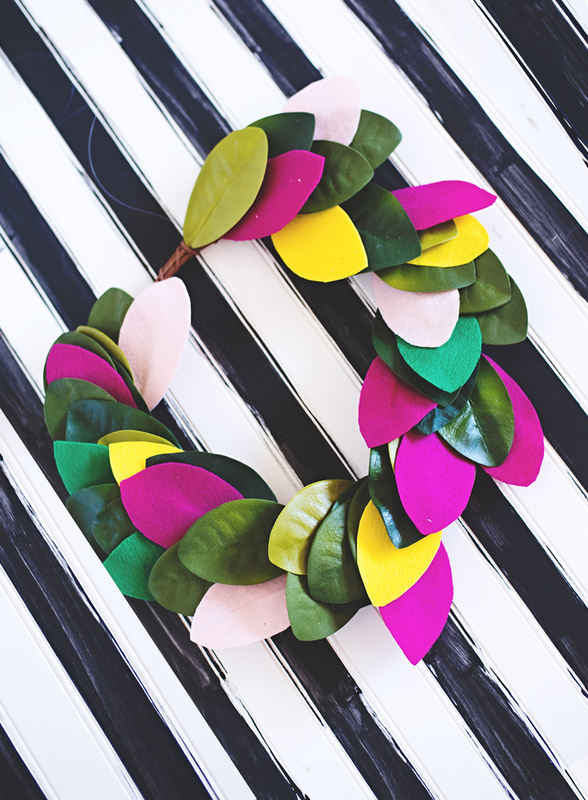 This magnolia felt wreath has a very traditional vibe, with a burst of fun and fresh color. It’s a great statement wreath to greet guests at the front door. The texture of the felt will hold up great to the whooshing of opening and closing a door and the style is wonderfully pulled together with a great imperfect crafted feel. Exactly the casual welcome we all long to make. 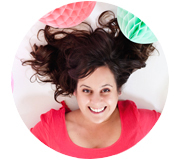 I love using felt to add a colorful DIY pop throughout my home. 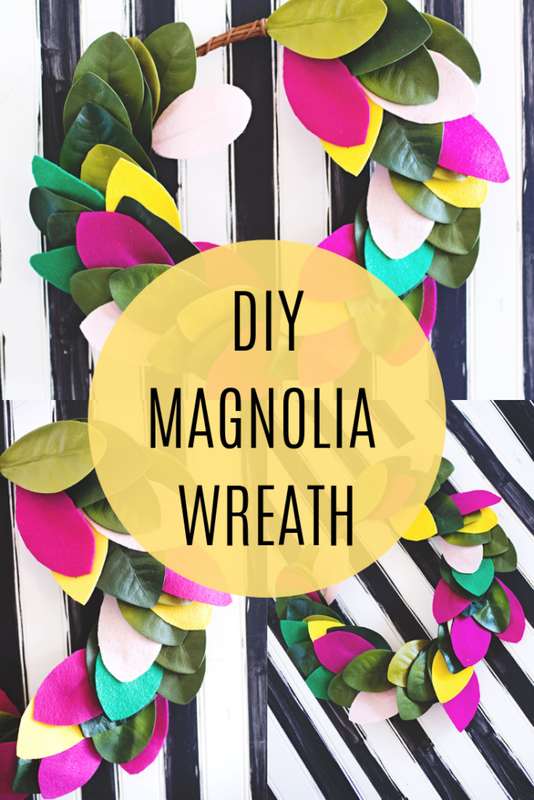 Whether it’s this fun and fresh magnolia wreath DIY for my front door or this pretty felt foliage garland, using felt is a cost-effective way to add a little pizzaz to your home. I also love these ADORABLE felt cactus plants! So cute, plus you can’t kill them! Step 1. 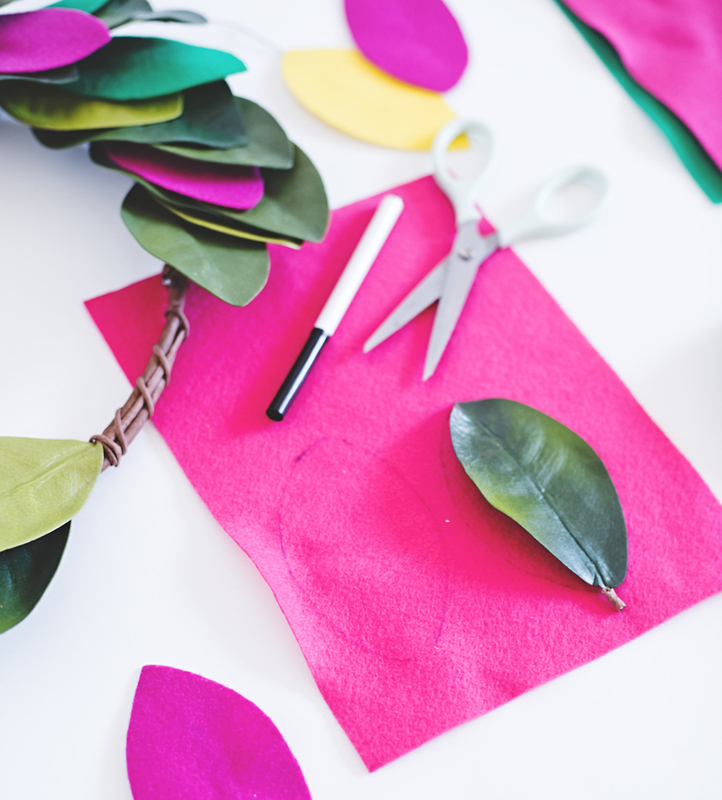 Start by cutting out the leaves from the felt. This can be done freehand, although I liked tracing and including a selection of faux plant leaves as well. It adds stability and texture to the wreath. Step 2. Once all the magnolia wreath DIY felt leaves are cut out glue about a 6-inch length of fabric wire onto the backside of each leaf. Step 3. Connect the fabric wire to the grapevine wreath by tying it off around the sticks. Step 4. Include the faux floral leaves on your magnolia wreath for added substance and texture. Step 5. 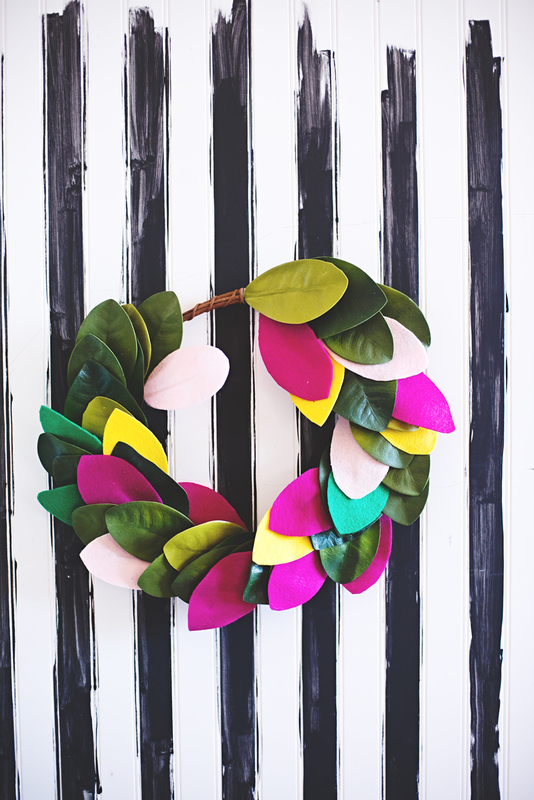 Hang this magnolia wreath DIY from the door for a colorful welcome to fall, or spring, or any time of year! 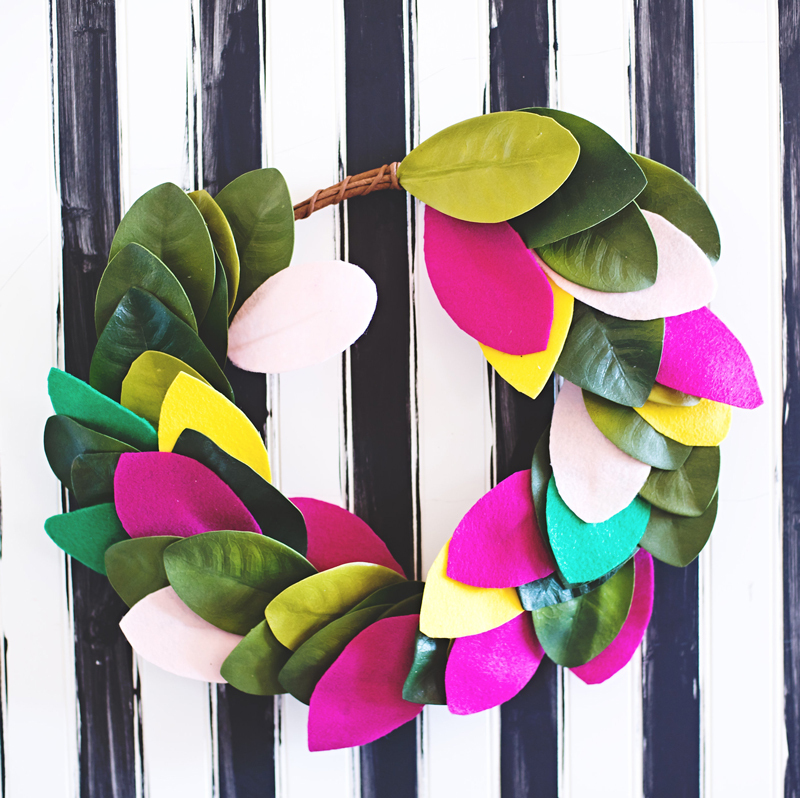 This colorful magnolia wreath DIY add so much to your front door decor, what is your favorite felt DIY? Also what colors would you use for your DIY wreath?